Our results speak for themselves. We have successfully represented clients in more than 30 states across the country. We have set records and broken our own records. If you are looking for lawyers with a reputation for getting results, don't hesitate to contact us. 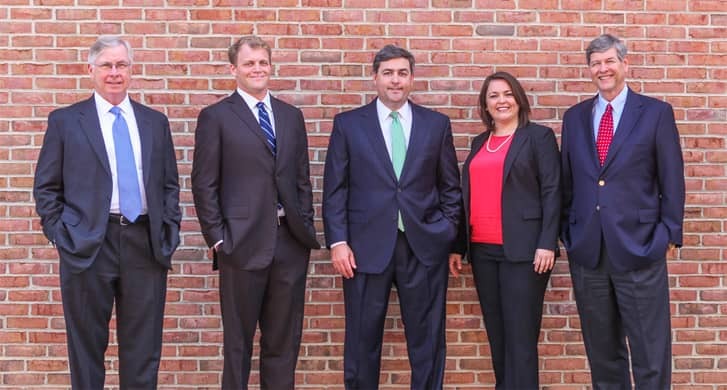 Since 1988, the Atlanta personal injury lawyers firm at Butler Wooten & Peak LLP have been dedicated to helping injured people, grieving families, and other individuals and businesses obtain full justice through our aggressive, sophisticated approach to litigation. At Butler Wooten & Peak LLP, we do not take cases just so we can talk our clients into accepting whatever crumbs insurance companies and other defendants throw at them. Our opponents in the courtroom know that fact as well, and they know that a case involving Butler Wooten & Peak LLP won’t be settled for pennies on the dollar. We are at home in the courtroom and fully equipped to take cases to trial. Instead, they chose to join our firm, helping individuals and business owners recover fair compensation for wrongs that have been done to them. We are proud to put our work product and our trial advocacy up against what the biggest and best defense firms are capable of. Approximately half of the cases we take are referred to us by other lawyers. Our firm has a track record of obtaining verdicts and settlements several times greater than what referring lawyers would have obtained alone, and we have paid out well over $100 million in fees to referring attorneys. We welcome calls from individuals, referring lawyers and corporate counsel. We have Spanish-speaking staff, and we will travel to meet with clients if necessary. To discuss our services, call us toll free at (800) 242-2962, or send us an e-mail and we will respond promptly. Most of our attorneys were in the top 5 percent of their law school classes and could have easily chosen to work at major international corporate law firms.